I am deeply interested in both history and culture and how it is shaped by innovators and influencers such as Jeff Ho. With this short film, I was very lucky to be introduced to this truly legendary but humble artist and get to spend a day hanging out with him and his colleagues from Juice Magazine. This film does not cover Jeff’s incredible history or details of his accomplishments and influence and someday I hope to do that longer piece. This is more of a haiku, a visual tone poem, a sort of glimpse into Jeff’s philosophy about street art, searching for the perfect wave and his life’s work. After opening Jeff Ho Surfboards in Dogtown, Santa Monica, in the early 70’s, he formed the Zephyr Surf Team and Zephyr Skate Team, also known as the Z-Boys, and helped spark a revolution. Jeff has spent over 50 years designing and building his innovative, singular surfboards and skateboards which have widely influenced skate and surf culture in Southern California and around the world. The title of this short comes from Jeff’s use of “Zephyr” which is the name of Greek god of the west wind. The film was produced by Terri Craft and Dan Levy, who worked like crazy people to pull it all together on a shoestring, or less than a shoestring actually. And if you are not familiar, Juice is a crucial contemporary and historical source for the whole skate/surf/punk rock/art scene worldwide and founded, owned and edited by Terri Craft along with the multitalented Dan Levy. They are based in Venice Beach of course. To date, I’ve made 3 short films with me talking about how I switched to the Leica SL and what I liked about it. For this 4th piece, the original idea was to make another short with me but this time talking about the video capabilities of SL, which we have enjoyed exploring while making the previous films. As I got to know Jeff and Terri and Dan at Juice Magazine I decided instead that I needed to make this one a personal film. I felt very attracted to their totally independent spirit and approach to living life with an artistic integrity that is hard to maintain these days. I’m definitely an outsider, but have a great appreciation. When I was 10 I really got into skateboarding with early boards. I migrated into go-carts and mini-bikes and then ended up channeling all my teen energy into photography. That makes me the witness and storyteller which is what I love doing above all else. 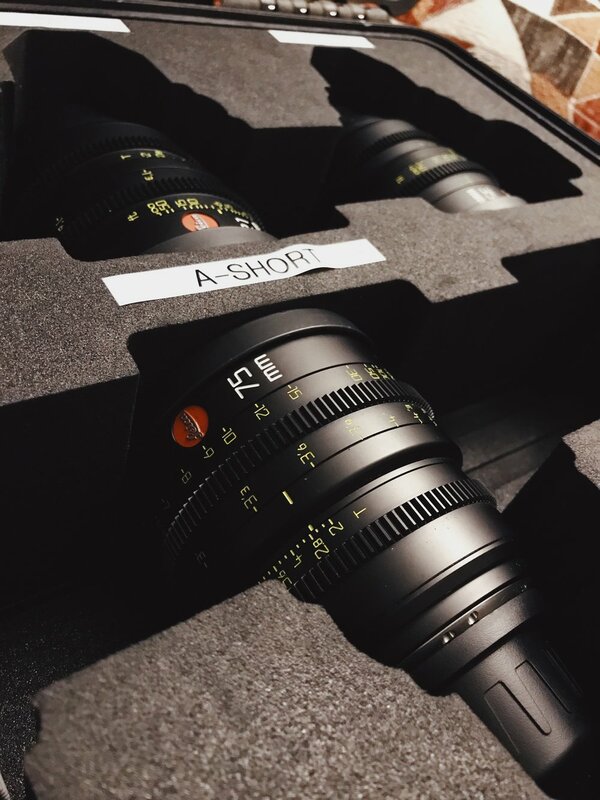 And of course we used the SL and the astonishing Leica Cine lenses. We are very grateful to Leica Camera USA and everyone else in the credits below for their generous help getting this done. BEHIND THE SCENES: Here's some shots of our intrepid DP Luke Carquillat running flat out with the Movi to catch Dan Levy and Sky Willie styling downhill, pretty cool shot, thanks Luke! Also me under the pier doing a human dolly shot under the Santa Monica Pier and some shots of the gorgeous Leica C Summicron Cine lenses generously loaned to us by CW Sonderoptic GMBH. TECHNICAL INFO: Everything apart from slow motion was shot using the Leica SL full-size HDMI port in 10bit and 4K image with color set to contrast low, sharpness medium, and saturation low. Editing and grading were done in Adobe Premiere Pro CC 2018. We recorded externally with the Atomos Ninja Flame and shot with Leitz Cine Wetzlar Summicron-C lenses as well as the native SL zoom and also prime M lenses. A Movi Pro was utilized for almost every A camera shot. B and C camera were handheld SL bodies. Doug Menuez is represented by Heather Elder Represents, San Francisco.